It is almost impossible to imagine how businesses thrived before the technological revolution considering all the great things that come with it. Technology users in this great platform for all businesses; big and small to grab the attention of the whole world. 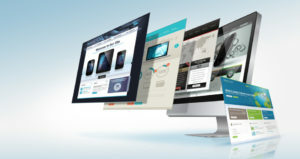 In today’s world, it is required that all businesses have a website. With the help of a good web designer, one can easily get a customised website that will help bring customers to the products and services. There are far too many advantages to having a website that you should now.They are more services that you can sell when your business is online.But a website that have been designed professionally is more likely to be trusted by your customers. Unlike other forms of advertising mediums, the website has got to be the best of them all. Once the initial process of setting up a website has been achieved, the website can now run throughout for as long as you’d like. With the website, you have a chance to reach so many people all over the world. This is due to the fact that everyone can access your website regardless of their location. In this case, your products and services become available to everyone with minimal effort. It might take quite a while to build traffic to it but it costs absolutely nothing to do so. You might have an office far away from some customers who might be in need of your services but having a website bridges that gap. With the technology craze going on in today’s modern world, people tend to search you online first before heading to your office. In this case, draw a map to your office on your web site for ease. A website might also create some sense of credibility and seriousness that might help draw in even more customers your way. A website is a day everyday platform which means that you can continue making sales and serving your customers even after office hours. This is also advantageous to your clients as it gives them the freedom and flexibility to consult you when need arises out of the office. This is a perfect opportunity for you to show them around your products and services so that they can easily make up their minds for when they are ready to purchase. Unlike physical shops that are closed some days of the year, a website is open for your customers all day every day. This also means that they can contact you regardless of their location. They won’t have to come to you physically for less important issues and queries. Some people are not good at face to face sales but you will be surprised at what they can do behind the scenes. This gives them the platform to reach out to the people they could not have originally had the guts to talk to face to face. There is also a greater chance of your reaching a wider market through website sales. In this case, you can conveniently hire customer support staff to aid the customers when you’re not available. The more the customers, the more the support staff and the better the business. We can agree that a website is a necessary marketing tool for any business; big or small.